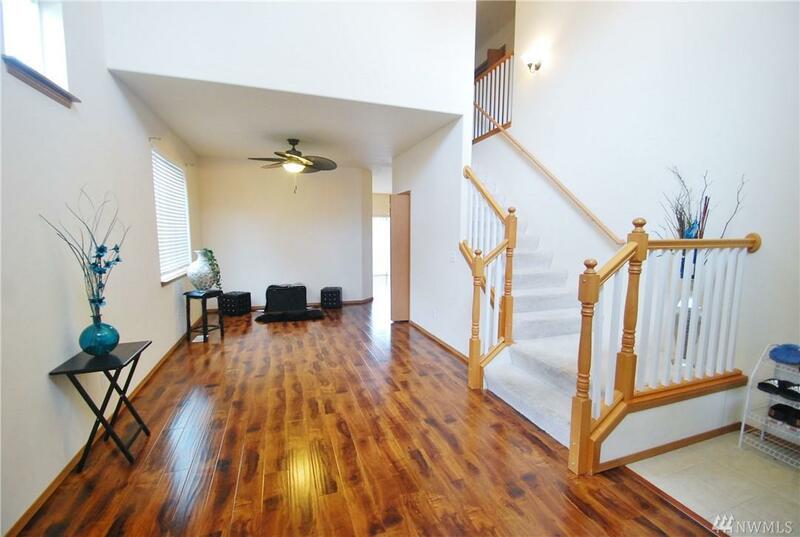 Spacious Tacoma four bedroom-soaring ceilings, ample windows offer natural light, laminate wood plank floors, formal living room with bay window, dining room, oversized kitchen with propane gas range, ample cabinetry, eating space, & pantry closet. 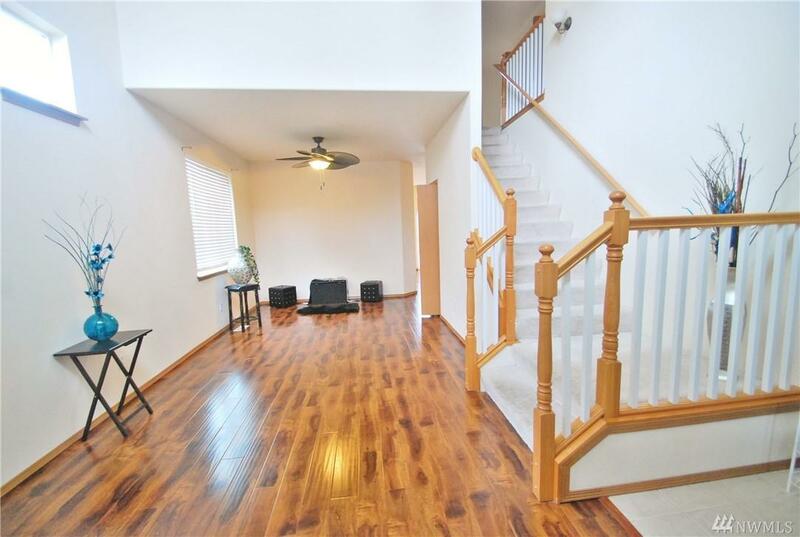 Great room open & spacious with propane fireplace. 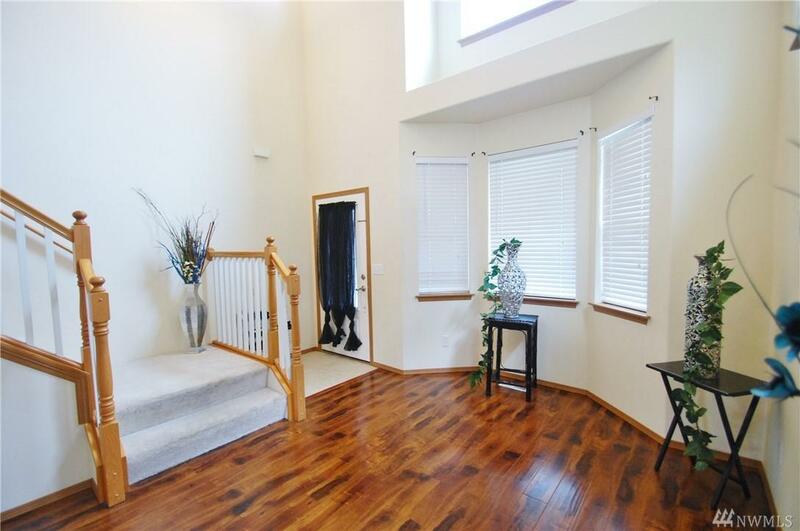 Large master suite with wood plank floors, spacious five piece bath,& walk in closet. 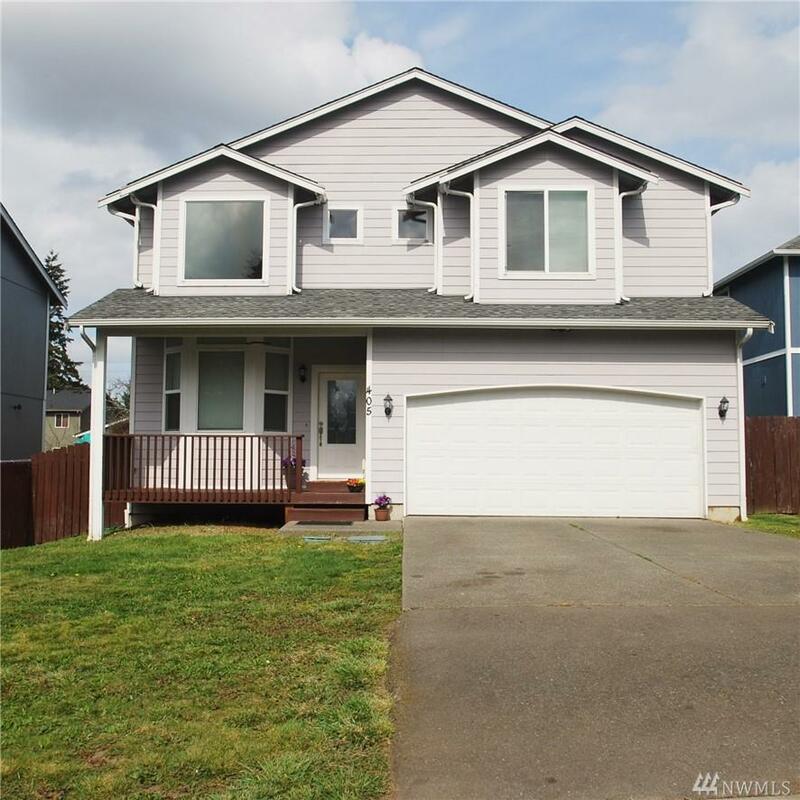 Cement siding, front porch, wood deck, fenced backyard with garden shed,& sprinkler system. Close to amenities.